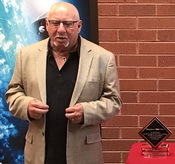 Many thanks to our good friends at Spyderco in Golden, Colorado, for graciously hosting an enactment ceremony last week where Knife Rights presented awards to the Colorado Switchblade Ban Repeal bill’s sponsors and others who assisted in making it happen. (L-R) USAF Msgt. (Ret.) 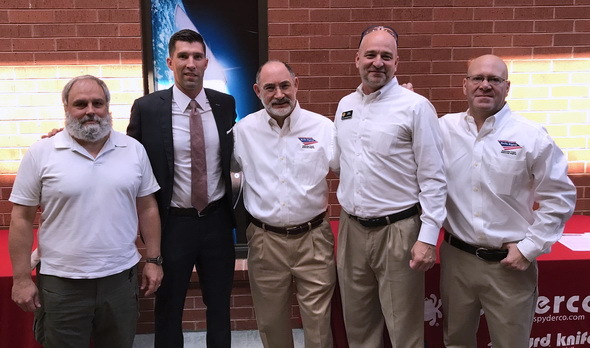 John Bloodgood , Sen. Owen Hill, Knife Rights Chairman Doug Ritter, Rep. Steve Lebsock, and Knife Rights Director of Legislative Affairs Todd Rathner. Spyderco founders Gail and Sal Glesser and second generation CEO Erik Glesser were incredible hosts for the event. 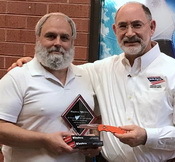 Sal (right) welcomed everyone with a brief history of the company from when he and Gail traveled around the country selling their innovative Tri-Angle Sharpmaker knife sharpener at fairs and trade shows to the present day where they employ over 100 Spyderco Crew at the recently expanded offices and factory in Golden. Attendees visited the Spyderco Factory Outlet and got a tour of the new factory, an eye-opening experience for most of the attendees. 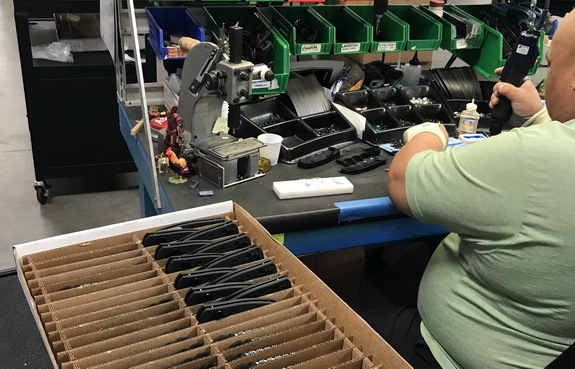 The tour finished up in final assembly where, appropriately, a member of Spyderco’s Crew was assembling Spyderco’s Autonomy automatic (switchblade) knife. Everyone left with a whole new appreciation for all that goes into making quality knives and for the enthusiasm and spirit of Spyderco’s Crew. 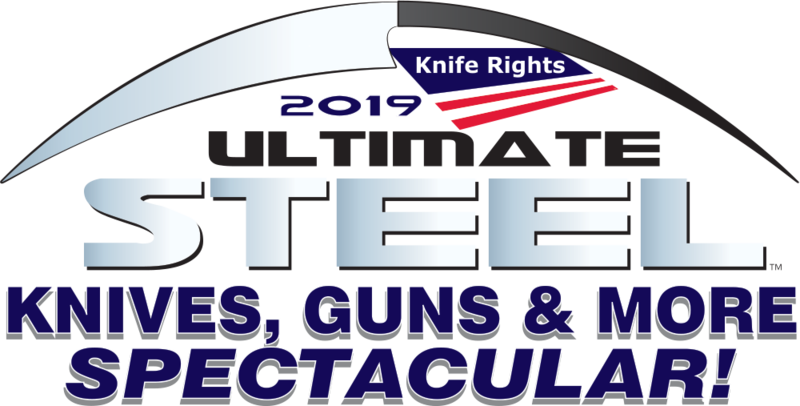 Finally, a special thank you to Spyderco’s Joyce Laituri and Kelly Williams for their assistance in organizing this event.